Due to the high demand for feature requests, we’ve built a feature request button in the app and the browser. This means that you can now suggest and vote for the features that you want to see! We want to know what YOU want and what we can do to make our app better for YOU. All ideas are welcome and we’ll do our best to add as many of them as we possibly can. Our team will be monitoring these feature requests and have a roadmap that shows what’s planned and what’s in progress for all your requests! We’d like to thank all our users’ for their feedback and support from launch day till today. Together we’ve built a community of over 230,000 users around the world, won ‘Best Mobile App’ awards and achieved the highest rating in the App stores for invoice and expense apps. 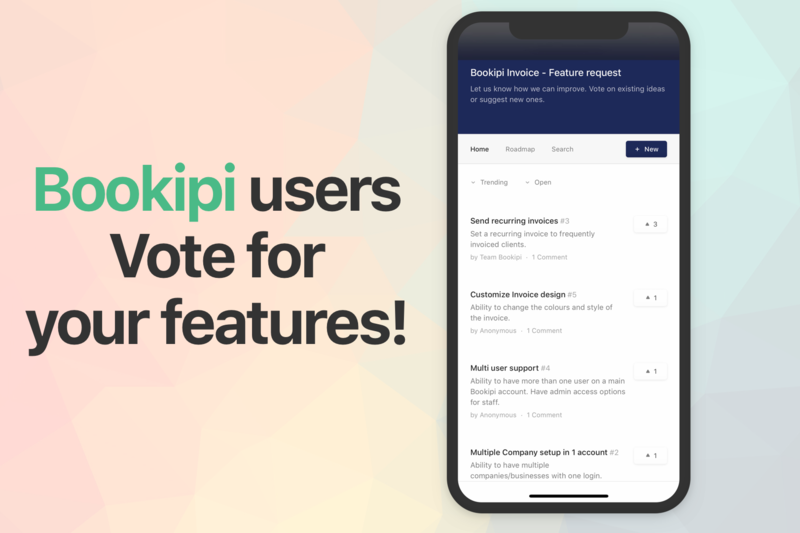 Bookipi Expense App – Vote for Bookipi Expense features. Bookipi Invoice App – Vote for Bookipi Invoice features. We Won Best New App Award!